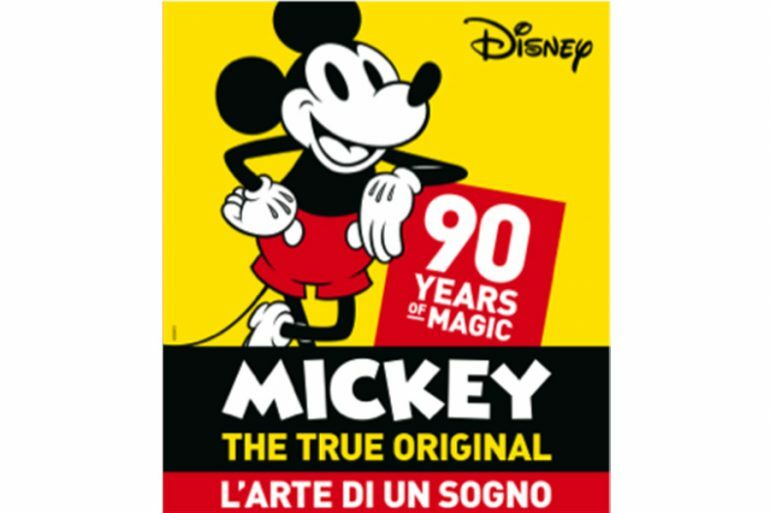 Mickey is 90 years old and celebrates it with an exhibition at the Castle of Desenzano Del Garda from Saturday 10 November 2018 to Sunday 10 February 2019. It was November 18, 1928 when Walt Disney presented for the first time to the public of the Colony Theater in New York his most famous creation, the character destined to make it famous all over the world and to become a timeless icon, the hero loved by generations of young and old: Mickey Mouse, for us Mickey Mouse. Since its debut in the animated short film “SteamboatWillie”, just 7 minutes, one of the first cartoon with synchronized sound of the story, the whistling Mickey Mouse “dubbed” by Disney in person immediately conquered audiences and critics, moving soon from animated cinema to comics, up to become a symbol of The Walt Disney Company and embodiment of the fantastic dream in which Walt himself identified himself throughout his life. Ninety years later, Topolino is still the most famous and loved icon in the world: to him and to his amazing “artistic career” is dedicated the great exhibition “Mickey 90 – The Art of a Dream” set up in the halls of the medieval castle of Desenzano Del Garda from Saturday 10 November 2018 to Sunday 10 February 2019. The exhibition is conceived and curated by the expert and historical Disney Federico Fiecconi, which summarizes the extraordinary artistic path that will unfold in the halls of the Castle: “This exhibition intends to immerse visitors in the most significant moments of the original Mickey Mouse Art, a collective work born from the creative genius of Disney and his partner, the animator UbIwerks, and made immortal by the creativity of great artists, many of whom are Italian and still in business “. Officially inserted in the initiatives that The Walt Disney Company Italy is organizing to celebrate the 90th anniversary of Mickey Mouse, the exhibition is set up by GraFFiti Creative and hosted by the Municipality of Desenzano Del Garda. The route is divided into two floors of the Castle, seven rooms in which there are more than 300 pieces from collections, important private collections around the world and from the archives of Disney, which trace the story of Mickey Mouse from the debut of 1928 to today . The visitor will be able to discover the many anecdotes that dot a very prestigious career, admiring pieces never collected before in a single exhibition and often very rare: precious Mickey Mouse artworks created by his most famous designers (from Floyd Gottfredson to Paul Murry, and then Luciano Bottaro , Giovan Battista Carpi, Romano Scarpa, Marco Rota, Massimo De Vita, Marc Henn, RégisLoisel, Tebo, Silvio Camboni) without forgetting the same Walter Elias Disney, whose exhibition reveals to the world in absolute exclusive an exceptional, extremely rare autograph drawing of famous Topo; then there are dozens of comic strips and original illustrations of American leaders and their European colleagues; beautiful animated drawings from the most memorable film roles, including an original drawing by Iwerks based on the debut film “SteamboatWillie” and an unforgettable episode The Apprentice Sorcerer by “Fantasia” (1940), accompanied by the program period room autographed by Walt Disney himself. Collectible objects, vintage toys, bronze and ceramic figurines, brooches, books, volumes, stamps and toys and rare editions are also very fascinating. Among these we must mention authentic relics such as n. 1 of the very rare Newspaper of Mickey Mouse published by Nerbini in 1932, the world’s first documentary dedicated to the character, the first Mondadori publications (1935, still in newspaper format), the first number in albetto format (1949) from the WOW Spazio Fumetto archives Museo del Fumetto in Milan or the very rare Frassinelli volume edited by none other than Cesare Pavese (1933), as well as rare pocket and wristwatches from the 1930s. Ample space is dedicated to the Italian Disney authors, captained by what is considered the greatest Disney artist in activity, the Venetian Maestro Giorgio Cavazzano, whose exhibition leads to discover the drawing board with the original sketches served to create the series of stamps of Poste Italianeemessi on the occasion of the anniversary. And then, all in drawing class in the Art Class Disney – Kinder, surrounded by original tables of unreleased stories that gave rise to 3 comics, three stories of Mickey Mouse and his friends created exclusively for Kinder Kinder (Kinder Brioss, Kinder Breakfast Plus, Kinder PaneCioc): because it is from the best things that the most beautiful stories are born. 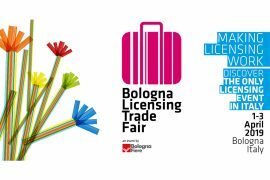 The workshops, promoted by Kinder in its dedicated corner, will teach the “little visitors” of the exhibition how to make a comic book and how to draw Mickey Mouse thanks to the supervision of the expert Disney designers.